Fischerscope HM2000 S is an advance range of nanoindentation gauging instrument which is used for finding the martens hardness HM, the indentation hardness, particular elastic quantities, the indentation modulus and supplementary material factors. This fischerscope HM2000 S is tested as per the ISO 14577-1 and ASTM E 2546 standards. Furthermore, it measures the factors in micro and nanometer range. It has a measuring head HT2000 which contains the test load generating unit, the indenter and the position measurement unit which is used for measuring indentation depth as well as the entire electronic system. HM2000 S can be upgraded with a programmable positioning aid. It can be used for a wide spectrum of applications including polymeric automotive clear coats, ceramic diamond-like carbon coatings, etc. air flows, e.g. air conditioning. Door can be mounted on left or right side. 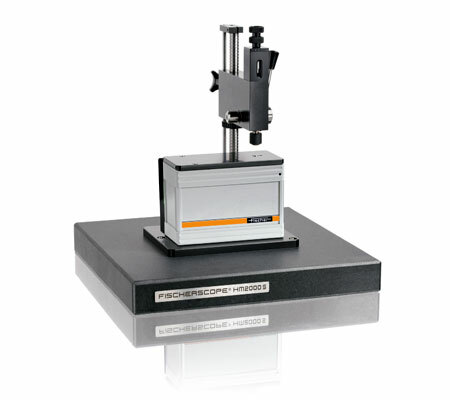 Martens hardness testing: fischerscope HM2000 is used for for bulk material and coatings thicker than 1 μm (0.04 mils). 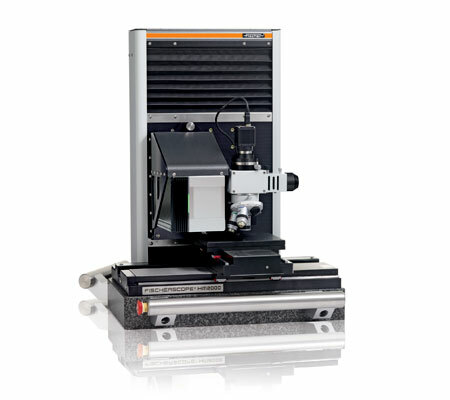 It is basically automated nanoindentation measuring system with measuring head HT2000. This martens hardness testing: fischerscope HM2000 is designed precisely for instrumented indentation test method and checked as per ISO 14577 standards. Moreover, it is ideally suitable for quality assurance, measurements in development, incoming inspection and process control. The measuring head of Fischerscope HM2000 contains the test load generating unit, the indenter and the position measurement unit. It modular design allows future upgradation. joystick for controlling the XY-stage and Z-axis. Maximum indentation depth:150 μm, special design up to 500 μm.